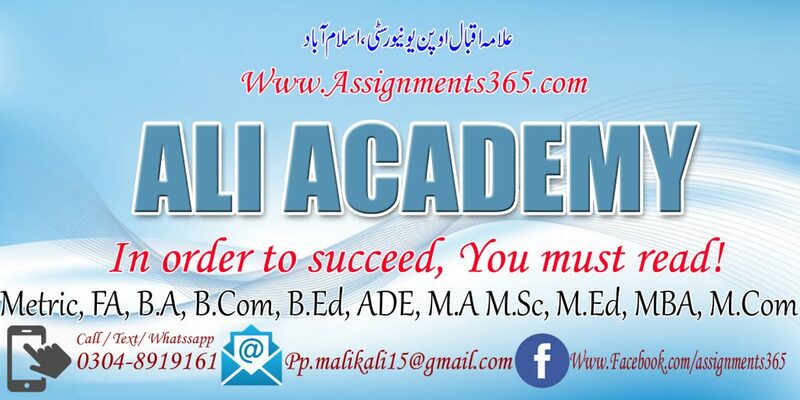 ap k pas m.a education ki 2nd semsters ki urdu main assigment hn gi ?????????????????? i want solved assignment code 463 autumn 2017. Do you have bba 2nd semester assigments in soft? how to get assignments from you. Do you have b.ed (hons.) Assignments??? i want solvd assinmnts of BA code no 416,417,1423.
research report ka koi solution mil skta………….agr mil jayeee ga tooo kindly inform me fast…….